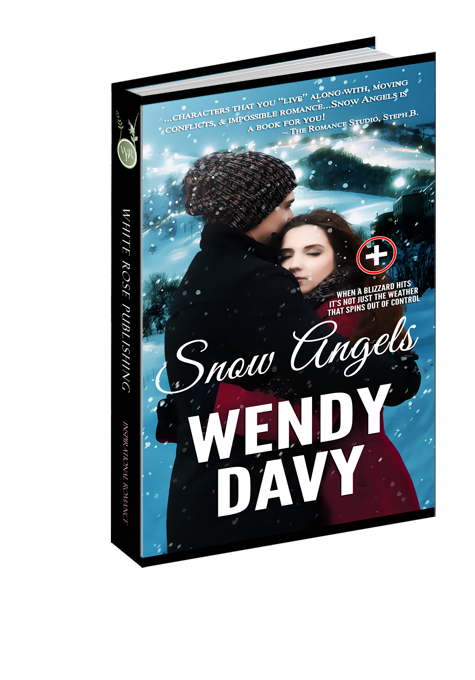 A blizzard brings them together… A twist of fate threatens to tear them apart. Be home. Be home. Be home. She willed the owner to open the door. She imagined the life-saving warmth beyond her reach and shuffled her feet in anticipation. A curtain fluttered in the window and a yellow porch light came on. The lock scraped out of the frame before the door cracked open. Warmth gushed out of the room, tantalizing her skin with the promise of salvation. Izzy lifted her gaze to the tall man who stood beyond the three-inch gap in the doorway. His astonished, cobalt gaze traveled over her as he held the door solid against the strong winds bashing against it. “Are you crazy?” his deep voice penetrated the howling wind. Izzy tilted her head. Those words were not the ones she had expected to come from the man who would save her life. But, she must appear somewhat insane to be out in such dangerous weather. Instead of wasting energy defending her mental stability, she answered through her rattling teeth, “I-I’m stranded in th-the storm. I n-need help.” She began to sag as her knees buckled with fatigue.